Ridgefield has had a surprisingly noteworthy history in the world of religious music: It was childhood home of one of the world’s most prolific hymn writers, it was the adulthood home of a major hymn publisher, and it was the birthplace of a major hymn composer. 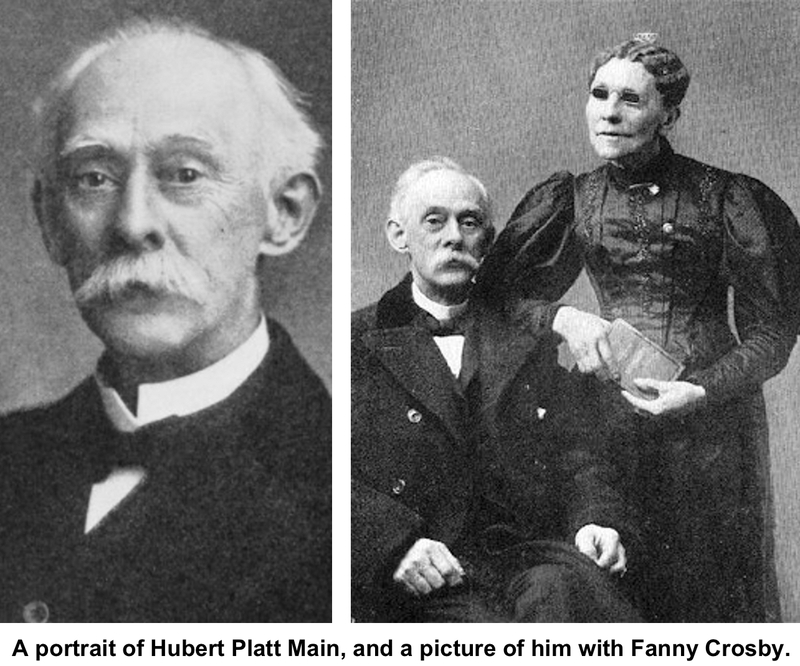 Oddly enough, Fanny Crosby, Lucius H. Biglow and Hubert Main all knew each other. Hubert Platt Main was born in Ridgefield in 1839. His father, Sylvester Main, was a music teacher who became a compiler of hymn books and eventually joined Lucius Biglow in the music publishing business. But Sylvester was also a childhood friend of Fanny Crosby, the blind author of more than 3,000 hymns, who grew up on Main Street. In fact, Crosby fondly recounted how Sylvester often protected her from the local bullies when she was a young girl. As a child, he would compose tunes by speaking “do, re, mi, fa...” for the notes. “If, when walking on the street, any air came to his mind, he would apply the syllables to it, and sing away,” Hall said. Over his lifetime, Main composed more than 1,000 works, including “singing school pieces, Sunday-school songs, hymn tunes, gospel hymns, anthems, sheet music songs, love songs, quartets, and instrumental pieces,” Hall reports. He composed the music for hundreds of popular hymns of the mid-to-late 19th century, among them “We Shall Meet Beyond the River,” “Blessed Homeland,” and “The Bright Forever”— the words of the last two were written by Fanny Crosby. Main also collected a huge library on music — he was “a veritable antiquarian in old music books,” said Hall. In 1891, he sold 35,000 volumes to the Newberry Library in Chicago, one of the world’s leading research libraries to this day.